Summit Media team kicked off Feed Richmond 2018 last week! Summit Media set up at Kroger locations around the Richmond area to collect food and monetary donations for Feed More Central Virginia’s food back. Feed More collects, prepares and distributes food to neighbors in need throughout Central Virginia. While Feed More’s lines for donation have not gotten longer… the need has gotten greater! Feed More is in need of things like peanut butter, canned tuna & chicken, rice, cereal… any non-perishables! These donations help provide food for programs like the afterschool Kids Café, Meals on Wheels, weekend BackPack program and mobile pantry to help a neighbor in need. 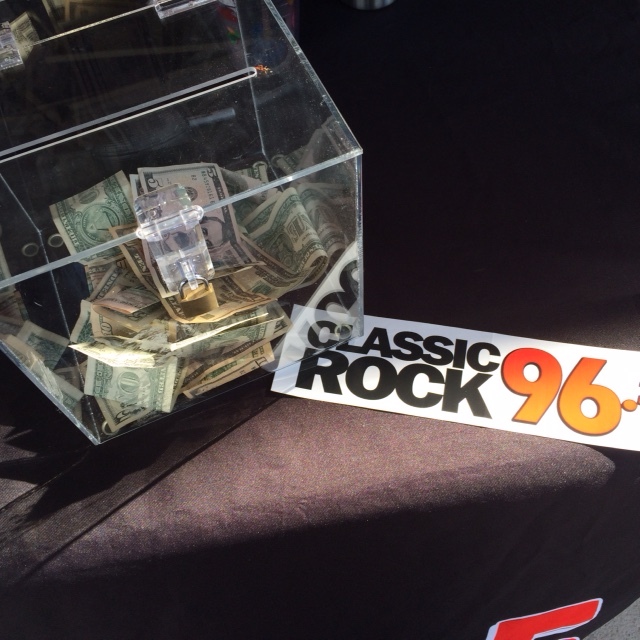 Classic Rock 96.5 collected food at the Kroger on Hull Street! 103.7 PLAY set up at the Kroger in Short Pump & K95 collected food at the Kroger in Mechanicsville this weekend! So many more donates were accepted online at Feedmore.org/feedrichmond. No one should have to struggle with hunger, especially during the holidays!